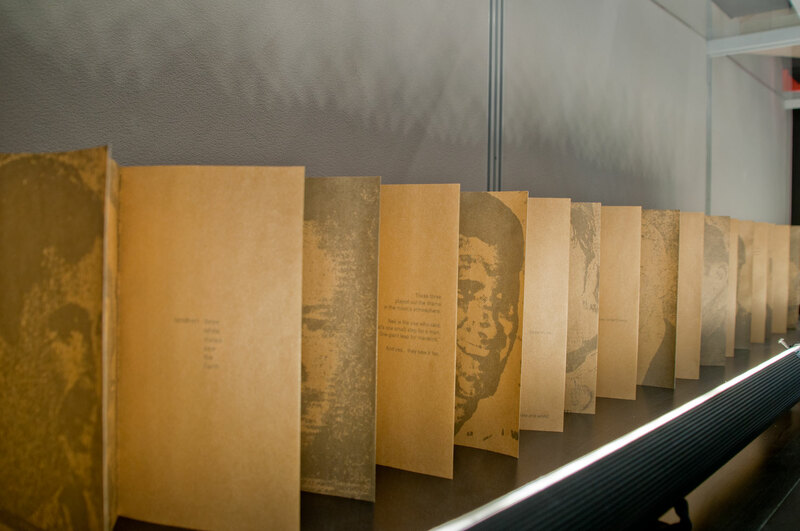 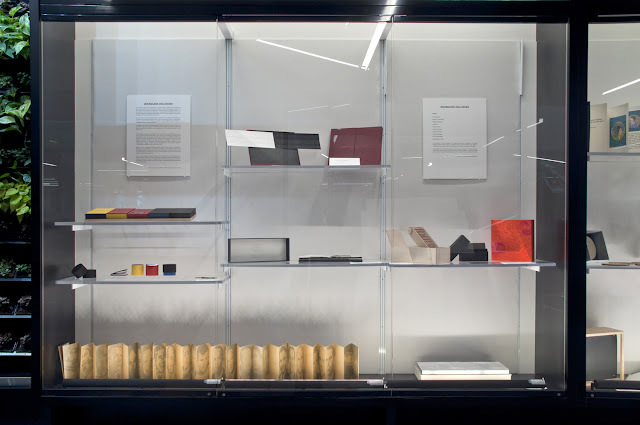 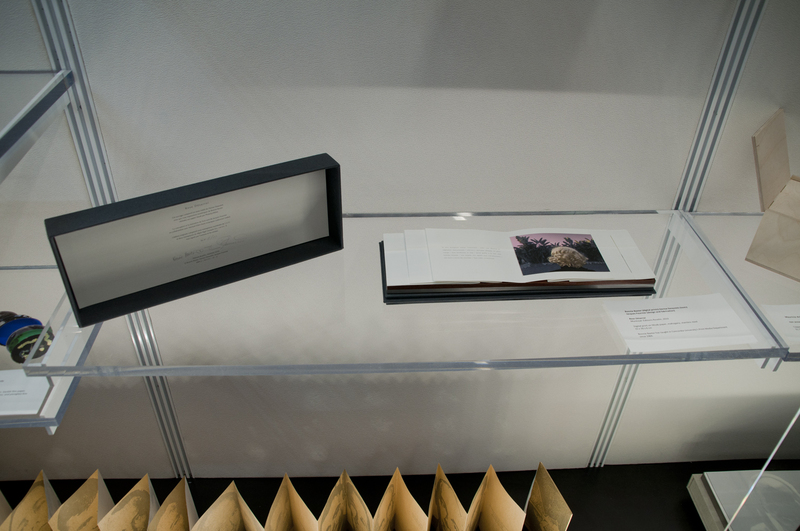 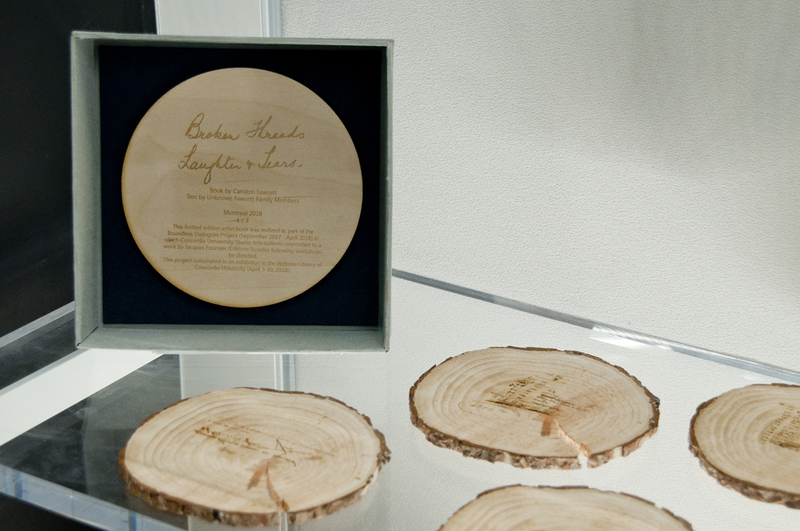 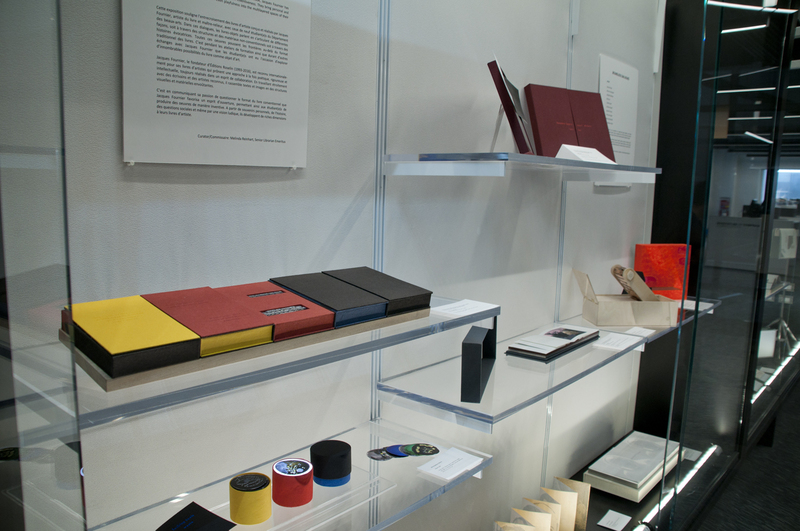 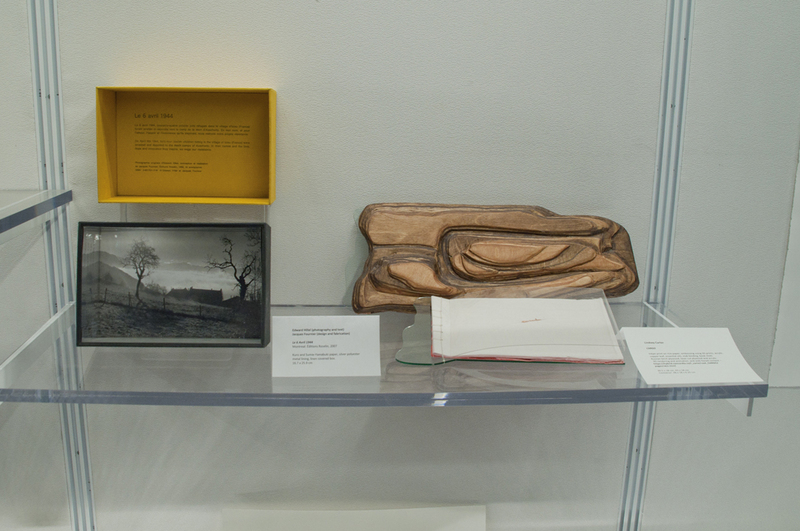 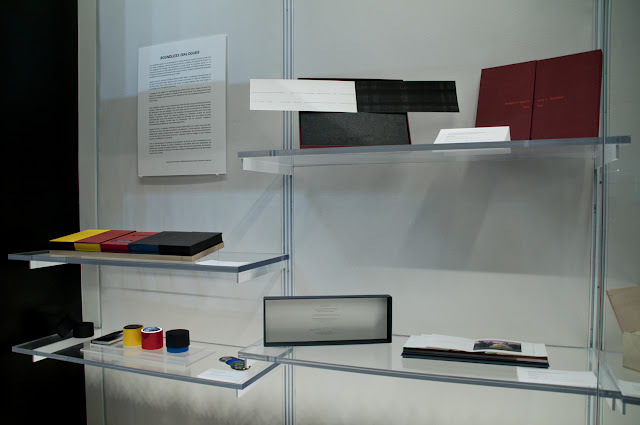 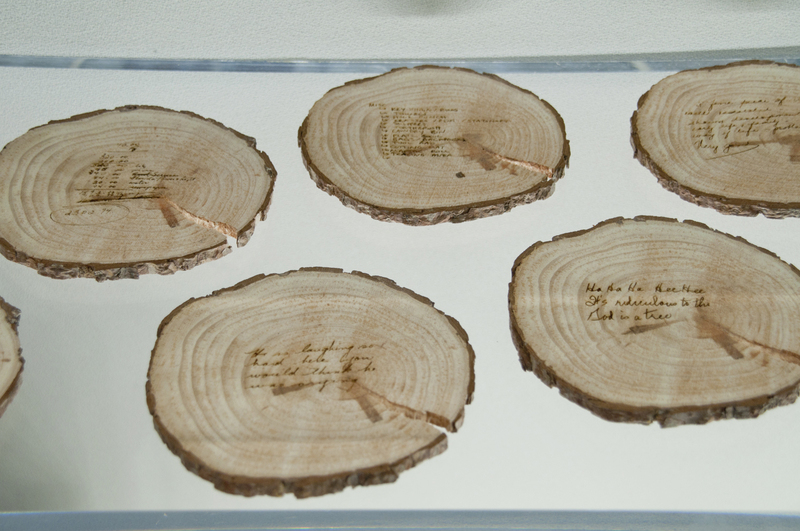 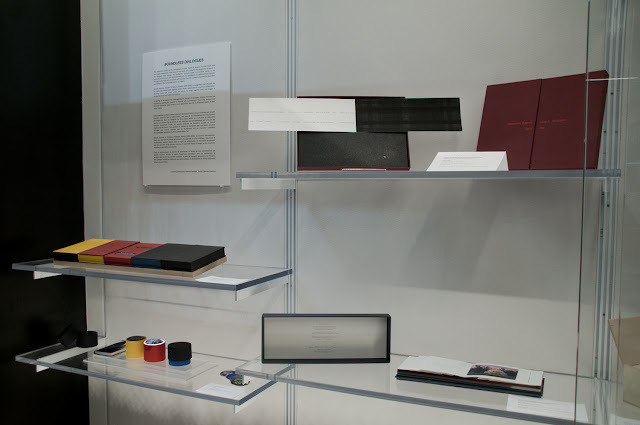 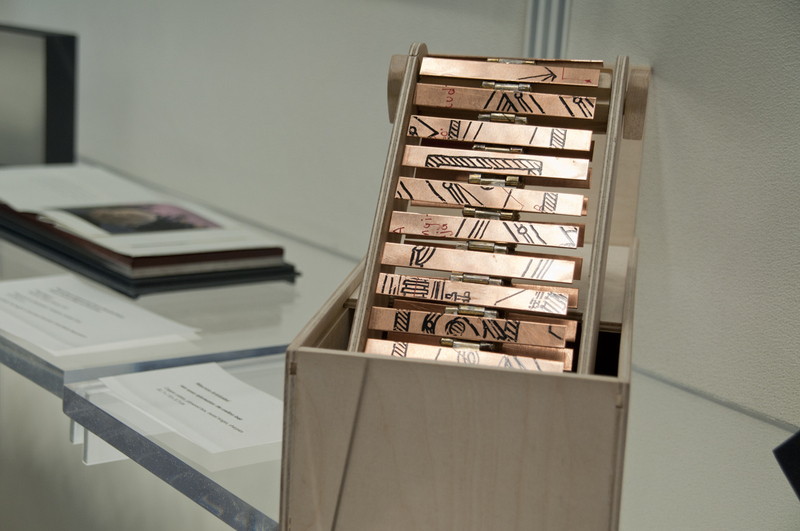 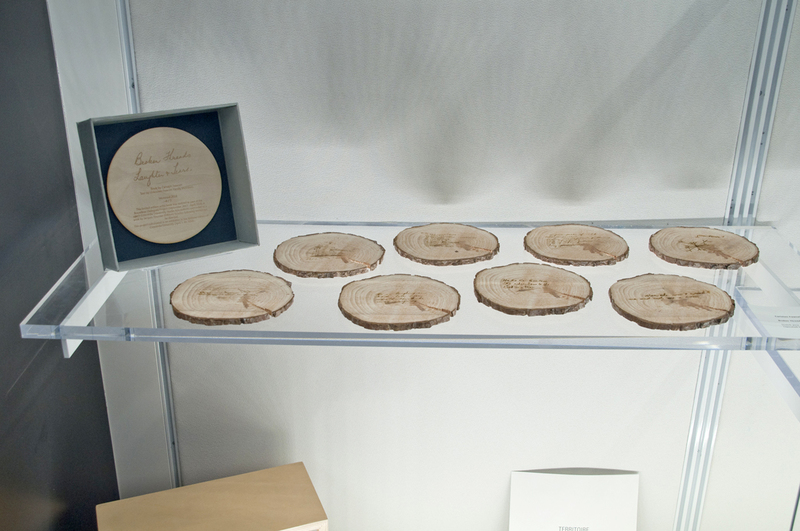 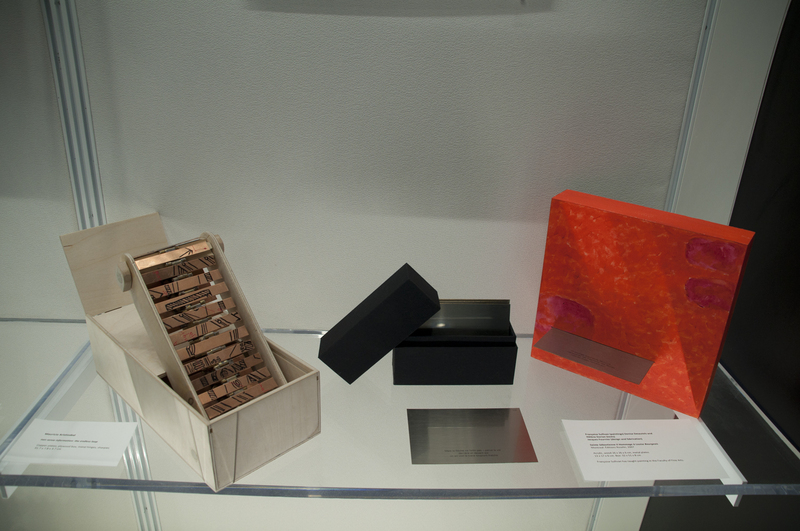 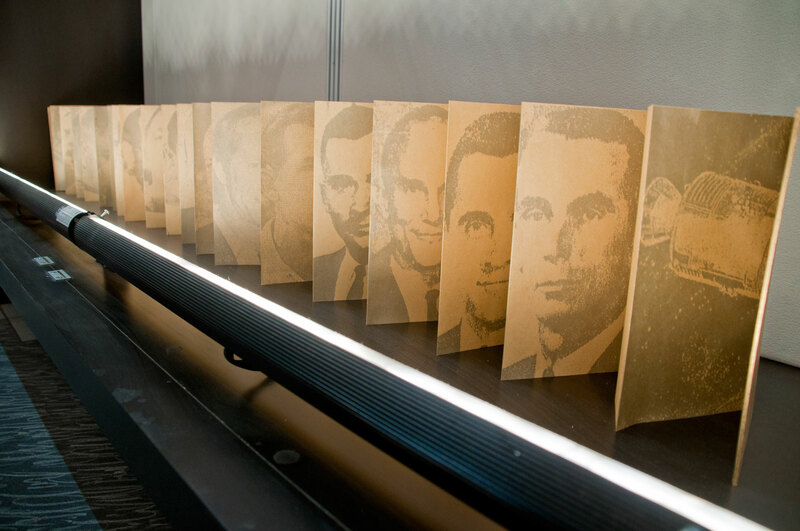 Boundless Dialogues is centered on the intersection of artists’ books by master bookbinder Jacques Fournier with those of eight Concordia University undergraduate Studio Arts students who respond to his work. 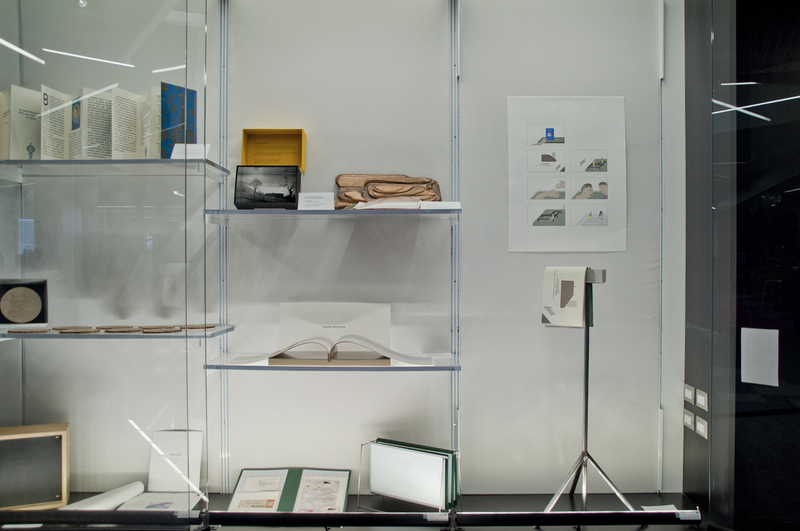 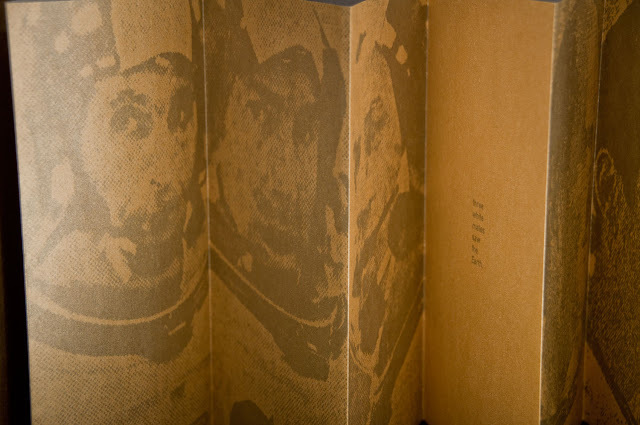 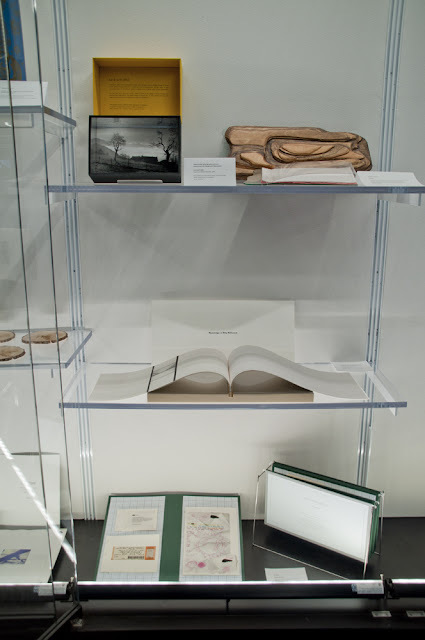 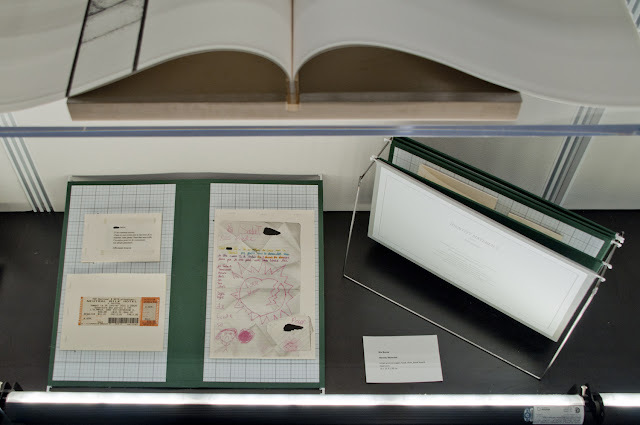 In the dialogues that emerge, the bookworks variously speak to the unconventional structures and materials or evocative stories that push boundaries of the traditional book format inherent to Jacques Fournier’s artists’ books. 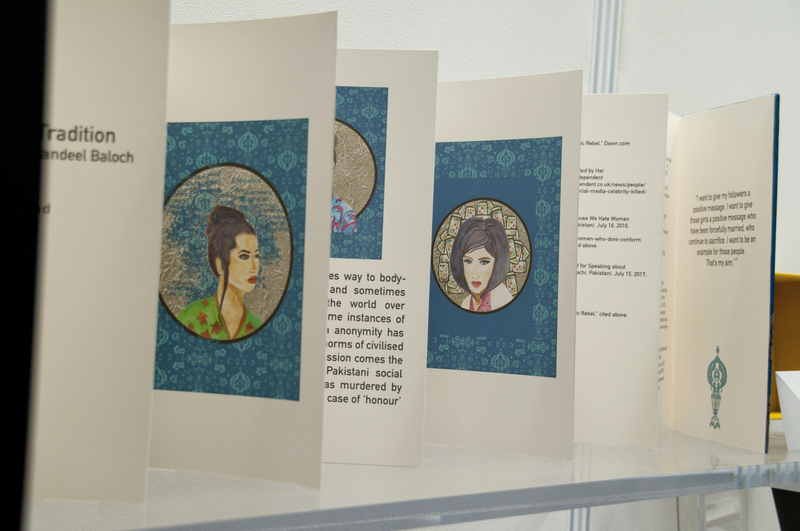 Through workshops and ongoing dialogues with him, students explored the boundless possibilities of the handmade book as art object. 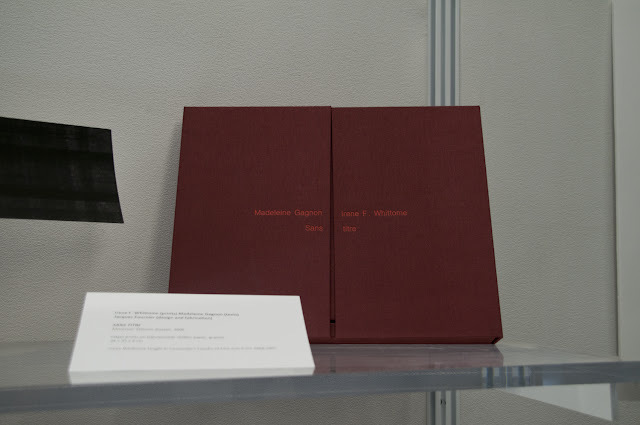 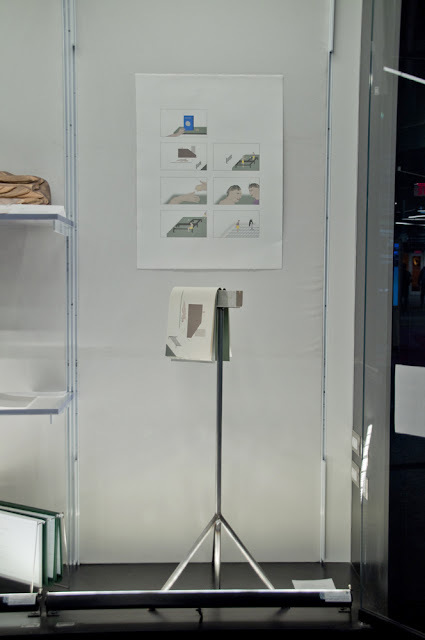 The exhibition is the culmination of a eight-month project initiated by print media professors Bonnie Baxter, Jenny Lin, Stephanie Russ, and Patrick Visentin who worked in collaboration with Jacques Fournier and mentored students throughout the project. 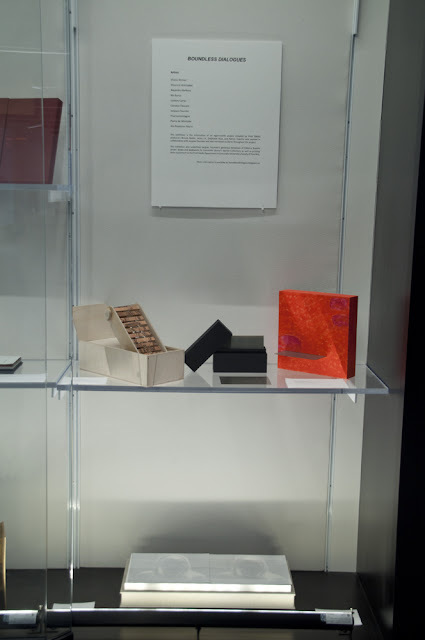 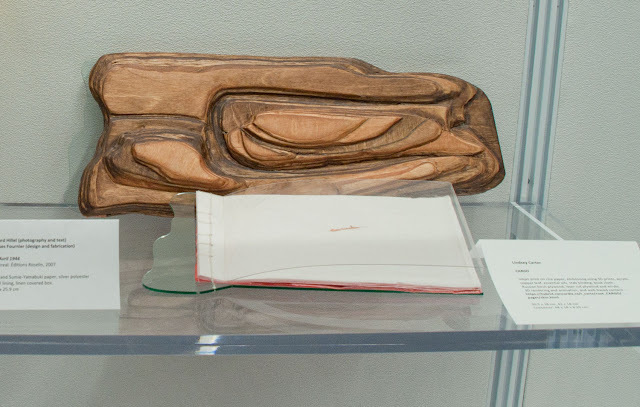 This project is inspired by Jacques’ donation of bookbinding equipment to the Print Media program area and his willingness to share his expertise. 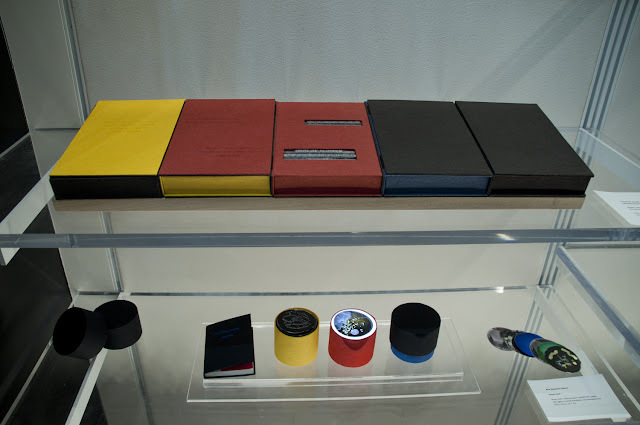 Top left: Jacques Fournier (concept and realization) in collaboration with Suzanne Jacob, Joël Des Rosiers and José Acquelin, Jaune Rouge Bleu, 2000; bottom left: Alix Roederer-Morin, Ayoye ouch, 2018; top right: Jacques Fournier (concept and realization) in collaboration with Madeleine Gagnon (text), Irene F. Whittome (imagery), San titre, 2008; bottom right: Jacques Fournier (concept and realization) in collaboration with Denise Desautels (text), Bonnie Baxter (digital images), Rose Desarroi, 2010. 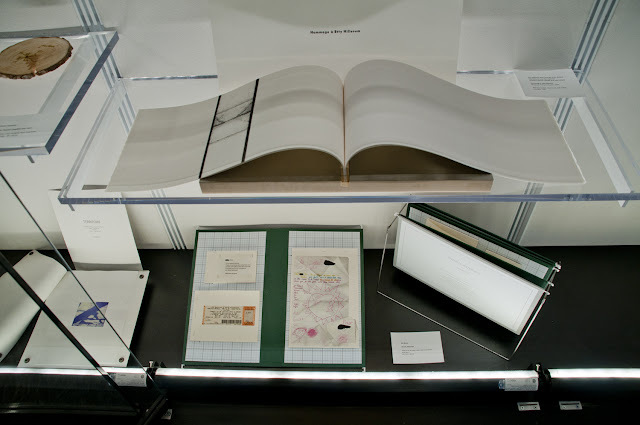 Top left: Jacques Fournier (concept and realization) in collaboration with Edward Hillel (text and photograph), Le 6 avril 1944, 1999; top right: Lindsey Carter, Cargo, 2018; middle: Jacques Fournier (concept and realization) in collaboration with Etty Hillesum (text) and Charlotte Arnoux Saut (imagery), Hommage à Etty Hillesum, 2005; bottom: Nix Burox, Identity Materials, 2018. 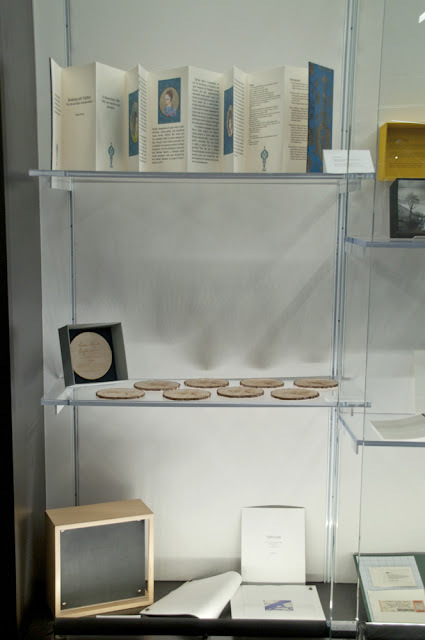 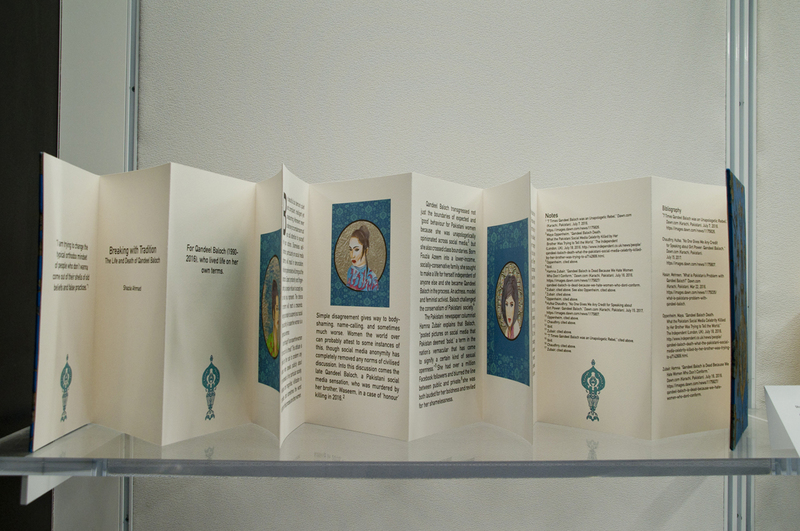 Etty Hillesum (text) and Charlotte Arnoux Saut (imagery), Hommage à Etty Hillesum, 2005; bottom: Nix Burox, Identity Materials, 2018. Left: Jacques Fournier (concept and realization) in collaboration with Edward Hillel (text and photograph), Le 6 avril 1944, 1999; right: Lindsey Carter, Cargo, 2018.
bottom: Jacques Fournier, Travaux photographique, 1994. 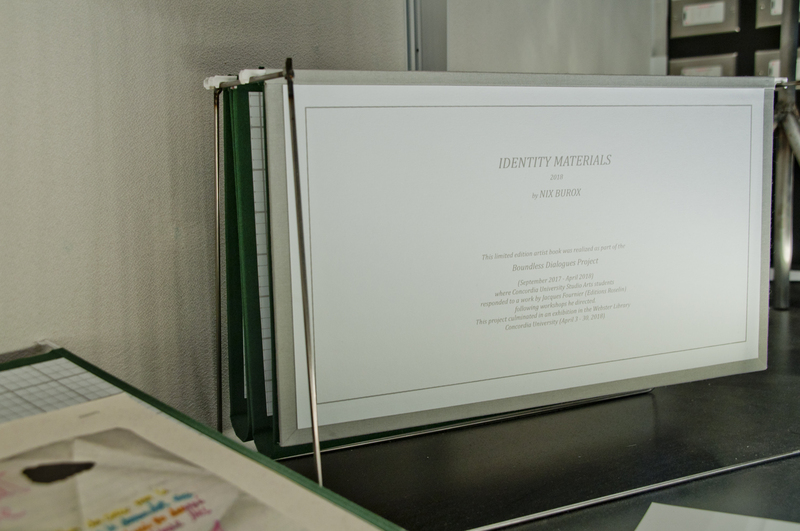 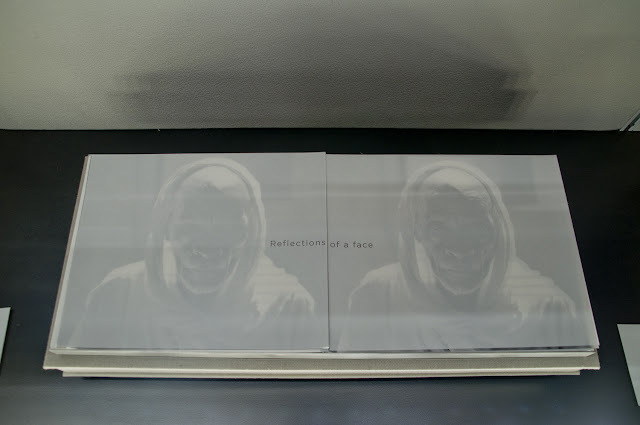 Jacques Fournier (concept and realization) in collaboration with Denise Desautels (text), Bonnie Baxter (digital images), Rose Desarroi, 2010.